In this paper, a Fine Granularity Scalability (FGS) streaming framework together with a Quality Weighted Bit Allocation scheme for enhancement-layer is first proposed to achieve smooth video quality even under channel conditions with a wide range of bandwidth variation. PSNR is used as a quality metric and a theoretical analysis on how to maintain a smooth quality is given. We will show, however, taking advantage of the priori information of the PSNR value of the base-layer reconstructed frames will help in providing a consistent video quality. Simulations show that variance of the PSNR of decode frames decreased a lot with the average PSNR increased. 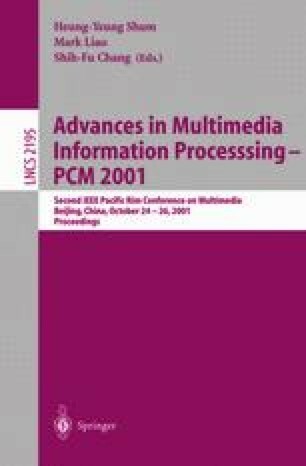 ?Despina Saparilla, “Broadcasting and streaming of stored video”, Ph.D thesis, University of Pennsylvania, 2000, http://www.eurecom.fr/saparill.